I’ve been thinking a lot today about happiness because of a book that I got yesterday from the bookstore. The book is Flow: The Psychology of Optimal Experience by Mihaly Csikszentmihaly, a psychologist who has spent years studying creativity. I had bought this book before but it hadn’t really done much for me so I sold it at the local used book store. Lately it has been on my mind, so when I saw it at the bookstore last night I bought this copy. This time it is really captivating my interest, especially since flow is such a powerful thing in my life. Flow is the term used to define the phenomenon of perfect focus – when you are so focused on an activity that time doesn’t matter. Nothing matters except the activity that you are doing. I know from my own personal life that flow is an exhilarating experience, one that I look forward to with anticipation and remember fondly when it is over. It is the feeling that motivates me to keep going when I feel like giving up on a project that I have been working so hard on. One of the things that I have been trying to do is figure out how to bring the phenomenon of flow into the classroom. Children would greatly benefit from flow, and I feel that they probably experience it more than we do as adults. When we are adults we are busy doing all of those things that are expected of us, and not necessarily those things that we want to do. Experiences that involve flow are experiences that are personally satisfying to us, those activities that we are loathe to stop doing in order to do something else. How many times have children told us that they don’t want to clean up, that they want to keep playing? Is that flow? Do they get so involved in their own activities that time seems to stand still and nothing else is important? Probably. Children may experience flow a lot, especially those that are given the opportunity to choose their own work rather than being told what to do all day. Maria Montessori developed the Theory of Concentrated Attention when she was teaching because she noticed a similar phenomenon. She noticed that when children were involved in a task that was challenging – but not too challenging – it was almost as if they blocked out the world around them and they were completely consumed by the task that they were working on. Montessori judged all of the materials that she used by this phenomenon: if the material led children to this concentrated attention, then it was kept in the classroom. If it didn’t, then it didn’t stay. I have tried to use this same method to determine what types of materials should be present in the classroom. Creating an atmosphere that is conducive to concentrated attention and flow isn’t necessarily hard, but it means that there will be a lot more loose parts in the classroom and not so many manufactured toys. It means that children have more choice, as well. One of the most interesting aspects of the book is Mihaly’s assertion that creating a life where flow is more present creates feelings of happiness and productivity. I haven’t read all of the book yet; this is simply his assertion in the first chapter. He says that in order for us to feel that our lives are meaningful, we need to feel that we are in control of our lives. But he isn’t talking about the material aspects of life. He is talking about the mental aspects of life – our mindset and how we view our place in the world. So far it looks like it is going to be a great read, and I hope to share more of my insights as I continue reading the book. This is the fourth in a series of posts based on the article “Twelve Things You Were Not Taught In School About Creative Thinking” by Michael Michalko. Here are the links to the first, second, and third posts. Your brain has the ability to learn from scenarios that you imagine. In the last post, we talked about how you have to practice being creative in order to do it, and in order to do that you must have vision and determination. According to Michael Michalko, “You can synthesize experience; literally create it in your imagination. The human brain cannot tell the difference between an “actual” experience and an experience imagined vividly and in detail.” This means that your brain can learn from the experiences that you actually imagine happening. This can train the brain to think in relation to that being your reality. All this time, all of these self-help gurus have taught us that visualization is a powerful tool in realizing our goals. But the way that the brain operates, we can use our visualizations in practicing to be creative. Imagining what we want to accomplish helps build the same pathways between neurons as actually sitting down and working to be creative every day. So why shouldn’t we just imagine ourselves creative? Because even if we imagine a scenario all of the time, there is nothing like actually living it. We don’t get the same kind of thrill from a visualization because we aren’t there, actually creating something. I have talked before about how addictive creating and working can be. Visualization is the same in some sense, but it doesn’t have nearly the power behind it as the feeling one gets when they have actually created something of value. Visualization is an important part of getting to that point, but it should not be the only way that one goes about working their creative muscles. So after watching this video I realized that, just as everyone does not see the same rainbow, everyone does not get the same thing from an experience – any experience. I can watch the same movie that you do, at the same time that you watch it, but because we are different people coming from different perspectives and have different backgrounds, we will both walk away from the movie with a different attitude about it. We need to remember this in our classrooms. The children in our classrooms come in with different backgrounds and different experiences with which to build off of. In anything that they experience, they will come out of the experience with a different perspective than another child will. For this reason it is important to get children together and talk about experiences, so that they can gain an understanding of this important fact. But not only do they need to understand that people have different perspectives than their own, but they need to learn that they can learn something from those different perspectives. While they may have gotten something profound from an experience, someone else may have gotten something else profound from it. If we share this information with each other, we have increased our knowledge by two profound perspectives. We may have even created a friendly network from the experience, as well. The things you learn from rainbows, huh? If you have been reading this blog for any length of time, you know that response is going to rub me the wrong way. But it brings up an important distinction that I believe needs to be made, especially in the world of discipline. It is not hard to find real meaning for the things we ask children not to do (or to do). When we find the reason, we need to use it – especially in those cases where reason becomes reality: someone ran in the classroom, tripped, and bumped their head. Then we can refer back to our reason: “This is why we don’t run in the classroom – because we will trip and fall and bump our heads. It hurts, doesn’t it?” Pointing out that it hurts when we don’t follow directions will highlight that aspect of it, but even highlighting it needs to be done in a respectful manner. Anyone would be turned off by an “I told you so” tone. 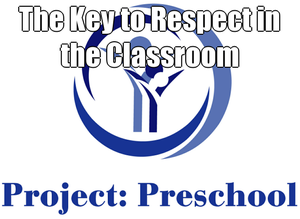 When we point out the infraction in a matter-of-fact way, we are showing the child respect and bringing their attention to the fact that they would have been safer had they followed directions. But most people are stubborn in that they tend to learn more from experience than from advice. Our classrooms should be based on reason, if for no other reason than we are teaching children to think. Using sound reasons for why children should behave a certain way shows them that we uphold them as thinking human beings. It does not insult their intelligence, but gives them a foundation on which to make connections and see a bigger picture for themselves. For more information about classroom management tips and a new way of looking at discipline, click here and here. As I was trying to locate the video for yesterday’s post, I came across another video of Gever Tulley where he explains his school a little bit more. He details how talking about his school with others has helped him to conceptualize their processes a little more, and he talks more about those processes. I hope that you enjoy this video as much as I did. The more I think about the model that is used in the school, the more impressed I am. My brain is already going into overtime with this one. Is yours?